Accessing one’s power; revealing what is hidden in the darkness, accessing our deepest resources; confronting fears from a place of true empowerment; the energy of rebirth and renewal; a new sense of self-awareness; the purity of our true source. Pluto, out in the depths of the solar system, is so far away that telescopes cannot resolve its features in any detail. It is small, very cold at its surface and receives minimal sunlight. However, the recent New Horizons mission that scanned the planet and its system of moons has shown that it is not the dead world scientists once thought. It has an unexpected source of heat within it; it has power and surface activity that scientists cannot yet explain. But astrologers already know that, psychologically, its power is an incredible force lying deep within us. This planet causes us to focus on our greatest fears, and as a result it is hard to deal with. We are afraid of what is hidden deep inside; we fear it has been suppressed for important reasons and must not be released. Yet within these depths are our hidden resources of strength, and thus the source of our true power. Many of us fear power, and perhaps rightly so, given the results of the misuse of power on the Earth, the death and destruction that have resulted. We can fear our own inner rage, our mortality, our resulting need for control, even, and thus turn this Pluto energy into self-sabotage instead. We all have Pluto within us, and we all need to be empowered. 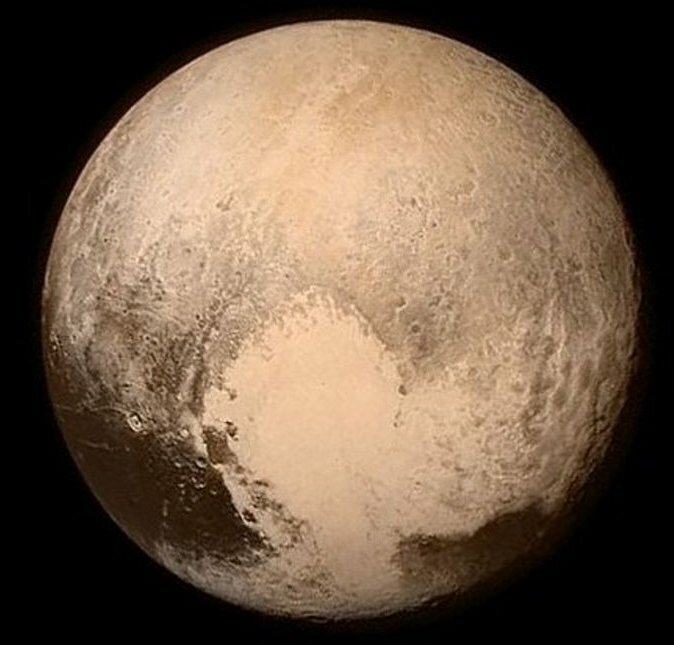 This essence allows us to access the positive side of Pluto: where we become strong enough to face our fears, where we are able to turn a searchlight towards the parts of ourselves that lie hidden, so that they may be seen and liberated. And as a result, we access the pure heart that lies beneath all, as seen on the surface of the planet, etched in ice and snow by the unexpected powers at work. This is the energy of renewal and rebirth, of life-changing realisations and powerful self-awareness. What has been suppressed must be released and used wisely. The dark layers within us, the sediment of years of pain and fears and ancestral memory, must be moved past, must become irrelevant, so that we can reach a place of purity within. Pluto is the planet of extremes, of light and dark. This essence, made under a Pluto-Sun conjunction, allows us to use the power of the light like a rapier, cutting through what is no longer needed to reveal the face of the self within, the pure self, the pure divine heart. This self is a being of light, freshness and beauty. The awareness that is gained of who we are brings about true empowerment.